School's out. Time for a ride over the Northern Cross Island Highway (Map). I hadn't been on this route since 2009, and had been itching to ride it. The second day of this ride, from Baling to I-lan, is one of my favorite routes on the island. Saturday morning we met at 7:30 at the Yongning metro and headed out for the wilds of Sanxia in southwestern Taipei, fighting the traffic. There were seven of us: myself, Jeff, Karl, Emily, Ukyo, Dwight, and Kenji. After a short detour due to a glitch in our onboard navigation system, otherwise known as the Alcohol-Soaked Memory, we finally got on the right road to Fuxing and our destination for the day, Baling. Excellent riding weather, the sun stayed behind the puffy clouds and the heat wasn't too unbearable. 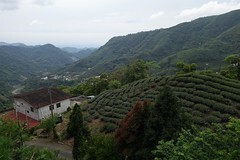 The sudden switch from the obnoxious, insane traffic of Taipei and the serenity of the mountains is always a pleasure. In Sanmin we stopped at the Hi-life for liquids and learned the bad news: there was some new kind of bridge opening in Little Wulai up the road and traffic was going to be insane as all of Taipei was being emptied to supply warm bodies for the occasion. Or so it seemed. 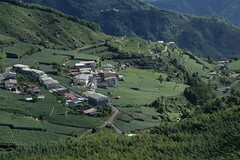 We fought this lemming migration for the next few kilometers, to Little Wulai. Taking a break from the traffic to grab a peach. Fortunately the mountains had lost none of their beauty, and the hazy clouds promised to knock the sun back. At the bridge in Little Wulai, Karl and Kenji take a break. Want to interact? Lift camera and point. People, especially young people, seem to love to have their picture taken. Interacting with all these friendly people is one of the great pleasures of biking in Taiwan. 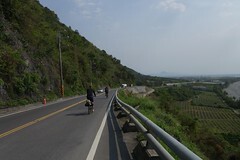 I much prefer the ride after Little Wulai; the road climbs into the mountains and falls to one and a half lanes next to a river gorge. One reason I love this ride so much is that even though it is only 500 meters it feels like one is deep in the mountains at a couple of thousand meters up. Emily leads the way. I took all my shots with my new Canon Powershot S95, many on the move, with fewer setpiece shots. I'm still learning how to do that properly. Ukyo cools off at one of the thousands of streams that come down to the road. Traffic was ok, but the motorcycles, cutting corners, belching fumes and shrieking like banshees, were a serious problem. We always stop in Ronghwa at about 500 meters for mango slushies and coffee. The traffic is often stopped there because the road narrows so the police institute traffic control. Slushies finished, we wait for the traffic to clear. A policeman gives us a hearty jia you! Stunning views across the gorges and peaks. There are plenty of places to stop for whatever fruit is seasonal. Arriving at Baling at 600 meters. Baling was packed and there wasn't a room to be had, our hostel turned away several room seekers. In the evening there was a sticky rice grinding ceremony. Here Emily lends a hand. In the morning the sky and air were clear, cleaned by the patina of rain that had fallen the previous evening. It was cool, and most of the route was shaded. A perfect day for biking and enjoying the mountains. As always, we stopped on the bridge outside of Baling for breakfast, which we carried with us, since there is no food until you reach Mingchih Forest Station (now a pricey resort) and then I-lan town after that. Stirring scenery on a lovely morn. Blue skies and puffy white clouds. Emily takes a photo break as Karl plunges upward. The climb out of Baling goes up to 1280 meters over 10 kms, a very stable and not very difficult 7% grade. The whole ride is amazing but I especially enjoy this opening section because I have so many wonderful memories of it. This section is tree-lined and pleasant. Jeff takes a break here. 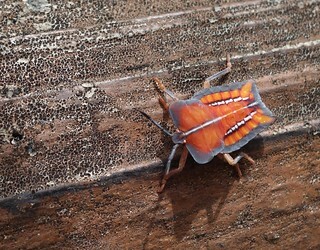 Plenty of bugs out in the early morning air. A sign points to a nearby hiking path. It was a pleasure to see plenty of other cyclists and hikers on the route. These guys had just come off the trail and were enjoying a well-earned rest. Ukyo and Karl take a snack break at the border between Taoyuan and I-lan counties. Ukyo, a powerful rider, ranged ahead of us the whole trip. The descent back to 900 meters is a blast, but in the back of my mind I am always thinking: "Gonna have to recover this altitude soon!" Emily grabs a shot of a miniature reservoir. Watch out for the old people on their bikes. Taking a break just before Mingchih Forest Station as Jeff rides off in the distance. The fog rolls in as we race along the rock faces. Looking back on our route. The descent, about 10 kms of switchbacks falling 800 meters to the Lanyang River, begins. Karl looks grand. This was his first long overnight ride in the mountains, and he battled his way through magnificently. Ukyo and Emily race back to I-lan town to catch a ride back home. The stunning textures and colors of the river valley. Picnikers escape the midday heat. It was 6C hotter down by the river, so we were really feeling the sun and heat. Arriving in I-lan, everyone split up. Emily, Ukyo, and Karl headed back on trains and buses, Jeff and I headed up to Jiaoxi. Here we race up to Jiaoxi to meet his family there. We picked up the train back to Keelung in Jiaoxi. At first the local from Jiaoxi, the designated bike train, wasn't crowded, but in Fulong hordes of riders and cyclists piled in. Clearly the TRA needs to rethink its strategy for designating bike trains, or it risks giving the impression it really doesn't want bikes on the train. The current system is totally unacceptable; since the TRA has made no modifications to the "designated" trains there is no reason every train shouldn't take bikes -- indeed, no reason that bikes shouldn't be permitted every day, not just on weekends, and as Jeff pointed out, bike commuting could be encouraged by permitting bikes on the Taipei metro every day. But the gov't still imagines bikes as tourism vehicles, no more. 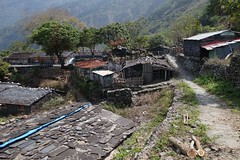 But the good thing was, the young people who had crammed in there with us were enthusiastic and interesting, and we had a great time chatting about biking and touring, until we debouched at Nuannuan for the ride back to Jeff's house. A fantastic ride, great weather, great people -- wish YOU had been on it with us. REFS: Previous northern cross rides here and here. "But the gov't still imagines bikes as tourism vehicles, no more." It's not just Taiwan government that thinks this. It's a great shame, because bikes really are wonderful transportation. That's one of my beef about Taiwan's bike trails--they're all from scenic nowhere to scenic nowhere and are no help for my commute. At least there are motorbike lanes and boxes for me to use. Really makes me want to bike that route. Are the risky motorcycle antics just annoying, or actually a serious road hazard? Besides trying to make as much noise as possible, I think many of them also get a sick thrill out of passing people (especially people on a bicycle) within 50cm at at high speeds. Do you think the police see it as worth their time or energy to do anything about it? Wow-- surprised to see that everyone is still drinking su-pao. I thought people would be afraid of the plasticizers that have been in the news in Taiwan recently. The article I read said that the same chemical was routinely added to the mango slushies. Looks like you all had a great time. Wish I could have joined you! Great photo essay. You make it really tempting for someone to want to make the ride. I hope I can make it with you guys in the future. I love how a bike train is simply a convenient box a politician has ticked on a to-do list with little evidence of followthrough. "We have bike trains! "= "We allow you to haul your bikes onto packed passenger trains at everyone's inconvenience... but at least we can say we have bike trains." This post actually made me dream about buying a bike in Taiwan next time we are there. Storage is a problem, though. After I used the bike on the rail service in Taiwan once, I gave up understanding the rational of its policy. Are the risky motorcycle antics just annoying, or actually a serious road hazard? I am going for serious on that one. Last time in Taroko one of those idiots cutting off a turn nearly hit us and then slammed into a car further down, stopping traffic completely on the narrow gorge road. Coming down to I-lan probably 50 or 60 passed in the other direction, passing cars on blind curves and in no-passing zones, crossing the yellow line passing each other, etc. 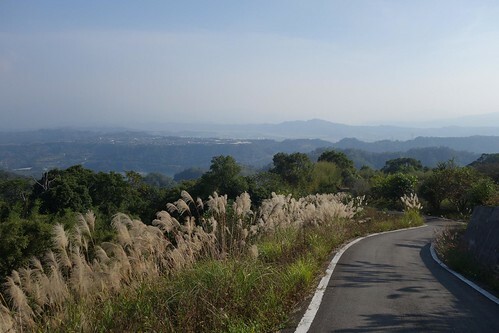 Makes me want to plan a cycling trip for the next time I visit Taiwan! Great photos!